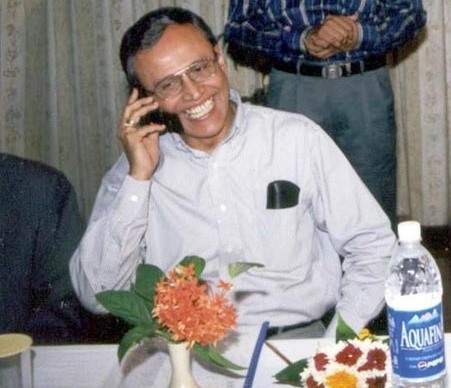 NINE years after he retired as telecom secretary, 1965 batch Gujarat cadre IAS Shyamal Ghosh woke up in the morning on Saturday to find CBI sleuths knocking at his home in New Delhi. The reason? The investigating agency wanted to raid the residence of Ghosh who was telecom secretary when BJP leader Pramod Mahajan was the minister. Mahajan, who was a close confidante of then prime minister Atal Bihari Vajpayee, was later killed by his own brother on a family dispute. The CBI believes that the policy of allotting airwaves in 2002 led to the loss of Rs 508 crore to the exchequer. There were raids in offices of telecom majors, Airtel and Vodafone, which are the supposed beneficiaries of NDA’s telecom policies. Both the companies have denied taking undue favour from the then government. Many bureaucrats now feel that Ghosh is a scapegoat in India’s recent saga of telecom scam and high-voltage investigations. Former telecom minister A Raja and ex-secretary Siddhartha Behura have been behind bars for months. The principal opposition party BJP termed Saturday’s raid as a political conspiracy ahead of the Parliament session so as to divert the attention from the real culprits. 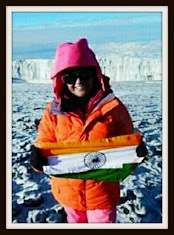 An MA in economics from Calcutta University and post graduate in public administration from America’s Princeton University, Ghosh held many important posts in government Gujarat and the Centre. He was Surat’s municipal commissioner during 1976-77. At the Centre, he was first the textile secretary and then got involved in telecom policies. He was the chairman of Telecom Commission and secretary, department of telecommunications between February 7, 2000 and May 31, 2002. Post-retirement, Ghosh became administrator, Universal Service Obligation Fund under DoT between May 2002 and May 2005. Currently, he is the chairman of Data Security Council of India, a self-regulatory organization promoted by industry lobby NASSCOM. He was also a strong contender for the post of comptroller and accountant general (CAG) after VK Shunglu’s tenure ended nine years ago. But VN Kaul succeeded Shunglu, and became CAG between 2002 and 2008. Finance secretary and 1976 batch IAS RS Gujral will inaugurate the 35th meeting of heads of National Drug Law Enforcement Agency (HONDLEA) Asia Pacific region at Agra on November 22, 2011. More than 100 delegates from member countries for Asia Pacific region members of ESCAP and governmental organisations will be attending the meet. I agree, that wouldn't have been enough material for an arrest warrant in the US. To start questioning the man 9 years after retirement from the involved agency sounds far-fetched.